An extraordinary sequin sleeveless gown. The design features a classic cut. 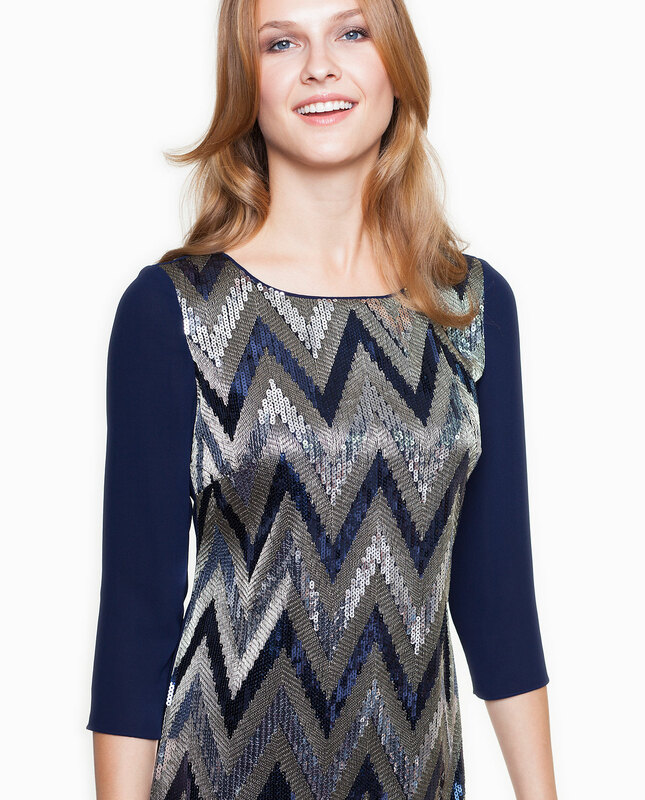 The sequins shape in a way that flatters the silhouette and elongates it. The gown is finished with a black textile trimming. The elastane lining makes it easy and comfortable to put on and take off. The garment has a hidden back zipper. This outfit will prove perfect as an evening gown and for special occasions.